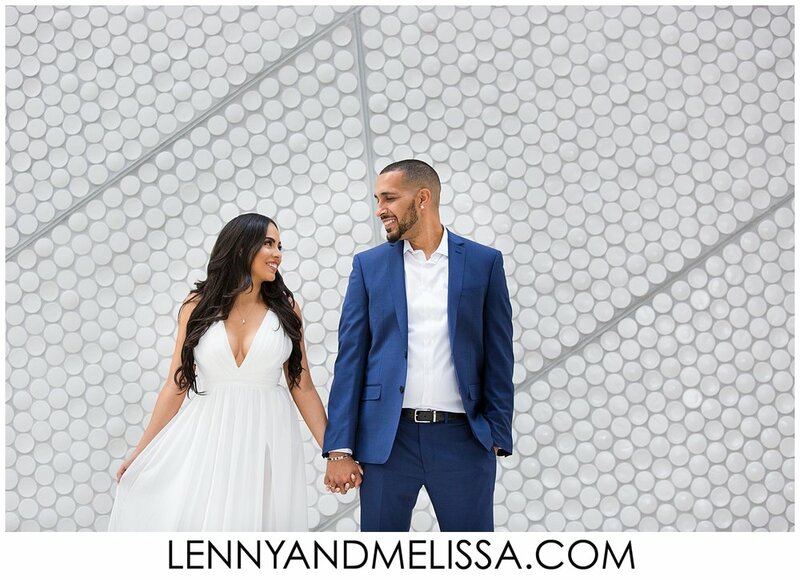 Click below to go behind the scenes on this awesome Miami Opa Locka Executive Airport Engagement Session! Pedro and I met through the dating app, Plenty of Fish. He initiated communication, after he noticed how similar our first date ideas were... I think he saw mine, and stole it ;) In all seriousness though, we hit it off from the get-go. After about a day of chatting, we started talking over the phone, and talked for hours over the next several days. For our first date, Pedro took me to World of Beer. To this day, I still have that visual of when he first pulled up in his white BMW wearing a purple polo (he's a die-hard Lakers fan), and I remember thinking how handsome he looked! After World of Beer, we went to Tom's NFL, and he introduced me to PB&J Vodka... that was the first, and the last shot I've taken! LoL Our first date was actually capped off by Pedro unintentionally meeting my two kids... I knew that when he showed up for our second date after that having happened (and didn't run the opposite direction), he was serious about dating me! A pastor once told me an experience she'd had with asking God for a sign of confirmation. After Pedro and I had been dating for a little while, during a brief moment of doubt, I thought back on that conversation and her words of wisdom, and I spoke with God, I asked him for a sign... a sign of confirmation that Pedro was the man God had predestined to be mine - the man that He had predestined to be my husband- the man I'm meant to grow old with. That sign I asked for was yellow roses. After several months, and after a couple times of having been given roses of various colors except for yellow, I received my sign, my confirmation from God... On Jan. 23, 2014- albeit that was coincidentally the day we were going to see the Lakers play the Heat, I nonetheless accepted that as my confirmation from God. It was then that I had no doubt that Pedro was the one for me! I had been hoping for a proposal for quite a while, and was growing impatient! LoL Unbeknownst to me, Pedro had apparently been planning the proposal for some time. I had no clue how he would propose or when it was going to happen! On our four year anniversary, Pedro told me we were going out to dinner, but did not tell me where. I knew that my gift involved our scrapbook, because he told me that he was going to take it and wouldn't tell me any more beyond that. I also knew that Pedro's sister was going to take care of the kids while we went out to eat. First hint I got about where we were going was when we pulled into Matheson Hammock Park. I soon learned that we were going to Red Fish Grill. When we were taken to an outside table with the best view there, I had an inkling of what was going to happen. Pedro has a sense of humor unlike anything I've ever experienced before... there are so many silly stories to tell about him! He brings laughter to our house any chance he can get. The first thing that comes to my mind (and my son actually incorporated this story into his speech at the wedding) was when Pedro put on his Spiderman undies, grabbed a maraca and reenacted the Puppy Monkey Baby commercial! 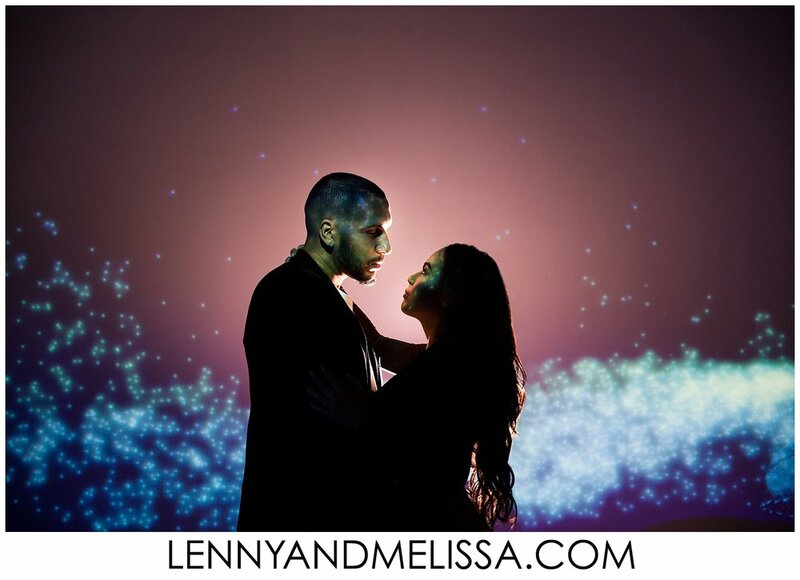 Working with Lenny & Melissa was without a doubt an amazing experience! Our wedding day would not have been the same without them. They were such a pleasure to work with and helped us navigate through all that we wanted captured with such ease! This all is of course in addition to them being genuinely an overall amazing couple to work with! They are great people and we definitely look forward to keeping in touch with them. 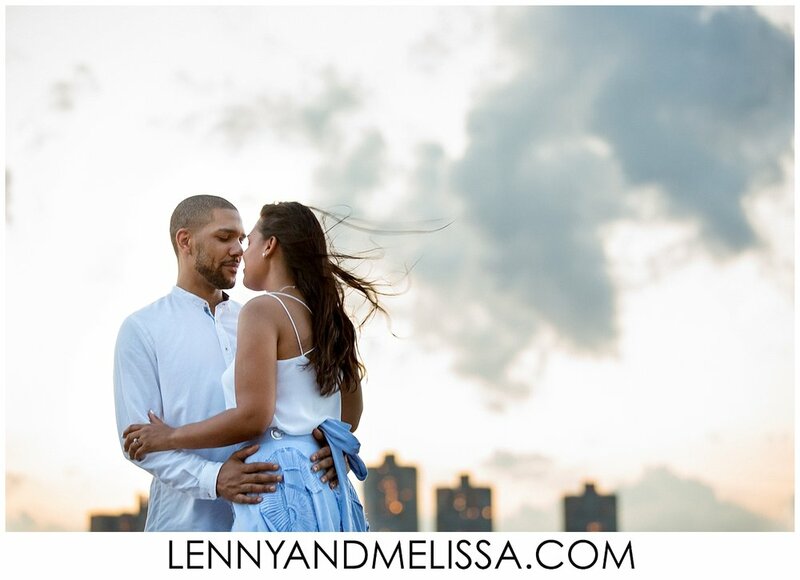 I would hands-down recommend Lenny and Melissa to anyone. Their work is truly gorgeous and the effort they put into their work is unparalleled! 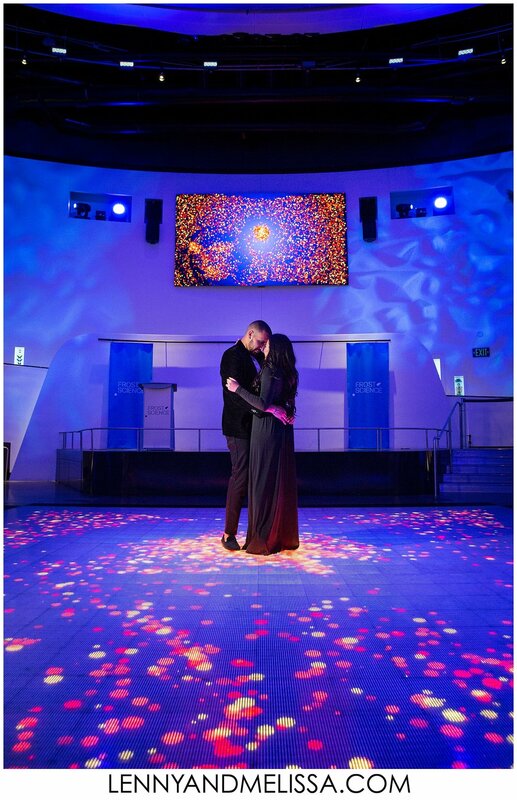 Looking back at the amazing photographs they took for both our engagement shots and our wedding day, it is clear that this duo has a talent unlike anything we've ever personally experienced. It's ok to be nervous but truly believe the anxiety falls right out the window shortly after meeting with them. They want what you want. They want for you to be happy and love your photos and if you trust them, they won't disappoint you! They're also very open to your ideas and will do their best to meet your needs. Both of us loved how careful and creative they were during the shoot. Nothing was rushed or done carelessly. 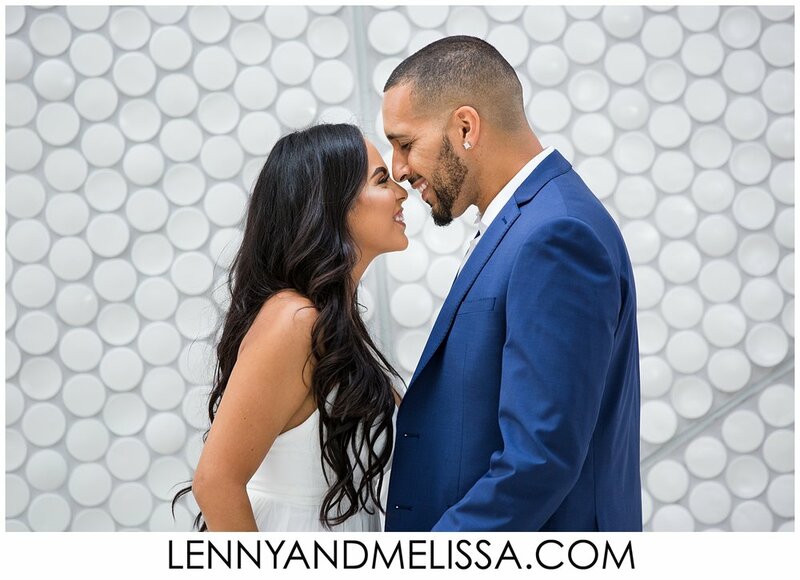 Lenny has a pretty cool sense of humor and Melissa encourages/feeds into it. They compliment each other and work well together. They've created such a great team amongst each other its contagious. We were most anxious about how to pose, what it will look like, and how to smile. WE LOVE OUR PHOTOS!! We are absolutely confident our wedding photos will be gorgeous. Both Marvin and I love candid photos. 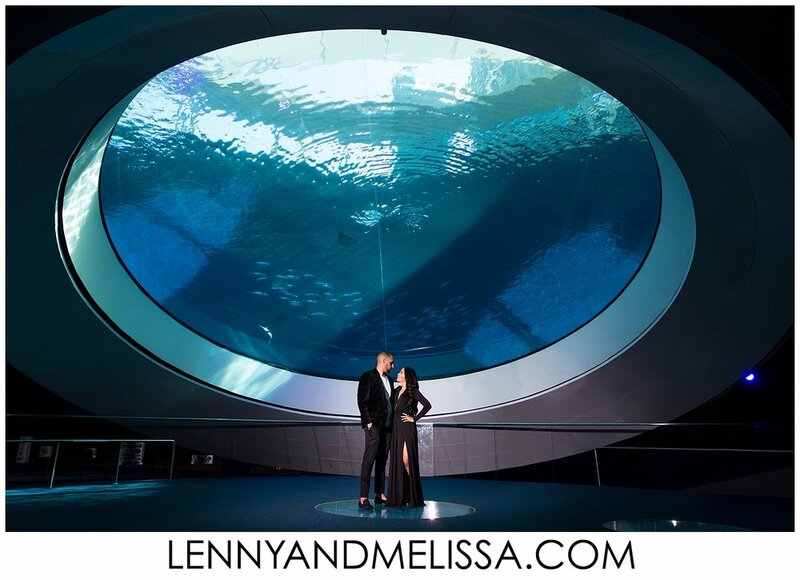 Lenny and Melissa exceeded our expectations. We're really looking forward to the wedding photos.